Water touches many aspects of your home. When doing laundry, washing dishes, bathing, cooking, and of course, drinking, it is important to take the quality of your water seriously. 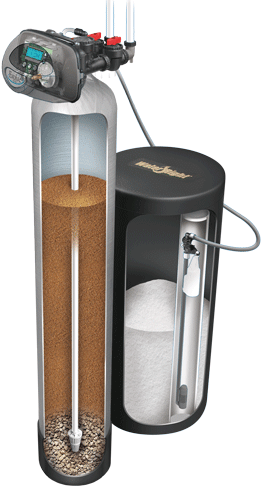 Our Evolve® series softeners are engineered to provide the perfect solution to your water needs. With advanced technology and eco-friendly features, you can enjoy peace of mind knowing that you're bringing the best system into your home. To learn more about our elite line of water softeners, contact your local dealer today! 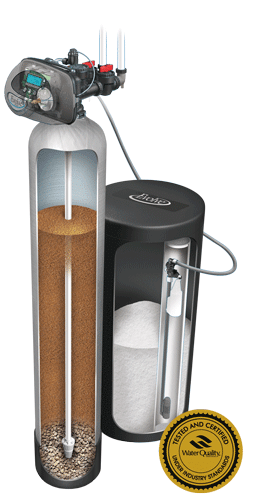 The EVR water softening unit is our most advanced model, as it is equipped with a high-performance resin that effortlessly reduces even the toughest hard minerals. Our patented chlorine generator is included, which provides a low-maintenance, automatic cleaning cycle. When combined with our exclusive WiFi technology, Wripli®, and Water Efficient Technology, W.E.T.™, your system can offer maximum savings as well! Since our EVRS water softeners use the same quality resin as a high-end EVR, you can trust the system's water softening capabilities. Also, after equipping our Water Efficient Technology, W.E.T.™, you can save up to 50% on salt and water, making it a smart choice! When hard minerals build up in your plumbing and appliances, it reduces their overall efficiency. Investing in a reliable water softener will help optimize your home. The ES water softening system was developed with the same engineering as our more advanced models, providing dependable, low-maintenance performance. Its highly efficient resin provides hardness removal that you can count on for soft water every day.